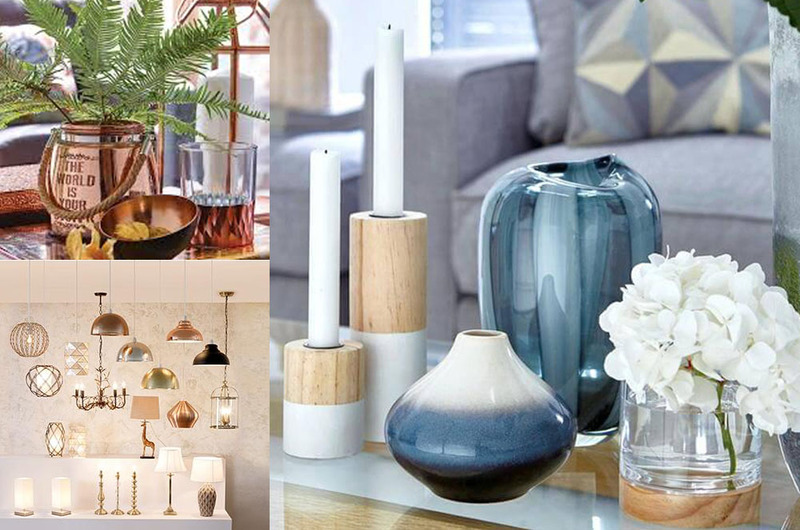 As I recently renovated my first home, I've been searching daily for new homeware, furniture and accessories. I've found a handful of amazing websites that I'd highly recommend for interior lovers. So, I though I'd share them with you all so you've got some new websites to check out to shop for your home! 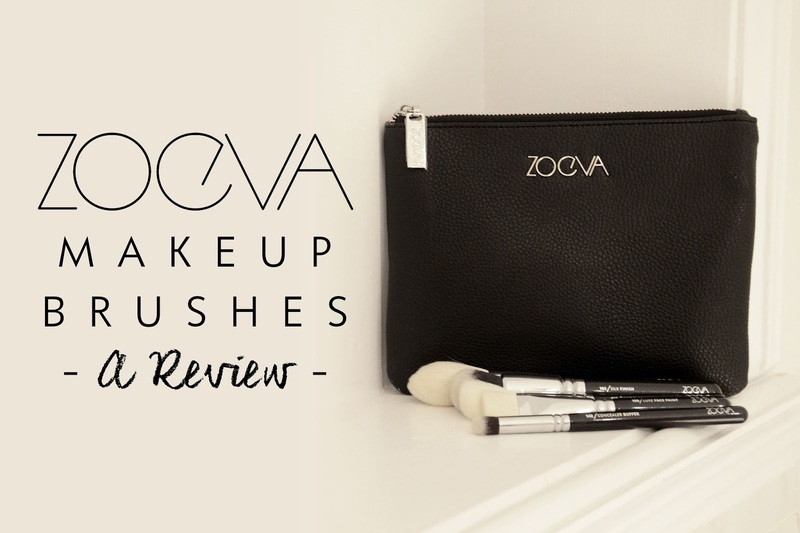 As you may have saw in my first weekly vlog that I uploaded on my YouTube Channel on Sunday 17th January, I recently received a really exciting package from Zoeva. I've been really excited to try Zoeva Brushes for a long, long while now. I received an exciting package full of new makeup brushes I can't wait to try! The 109 is a synthetic brush with a square flat top which is very soft and perfect for contour. I can't wait to use this with my favourite MUA Cheek Contour Stick that I absolutely love which will be perfect to blend and contour my cheek bones. This tapered brush is perfect for perfecting your contour or highlight. With the tapered tip and natural bristles you can use this brush to accentuate your features. I'm obsessed with this brush, it's exactly what I would use as a base brush. It's a dense but soft and fluffy brush which is ideal for apply your makeup base and buffing it into the skin for a flawless look. This natural bristle brush is the best kind of brush for powder contour or bronzer. The angled brush allows you to accentuate your cheek bones precisely starting from your ear and graduating towards the nose to perfect the contoured look. What I love about this brush is the short, domed and dense bristles however they're never soft. As they allow you to buff in your concealer they're also delicate on the eye area which can be thin and sensitive. This is the ideal brush to use to buff in your favourite concealer to illuminate those dark circles and perfect the flawless bright eyed look. This is your MAC 217 dupe and for only €7.80 is a must have if you're looking to purchase a crease blending brush. The natural synthetic hair mix with this brush is perfect for blending your subtle and dramatic eye shadow looks this season for the flawless finish with the perfect makeup artist style blend. Just like the Zoeva 221 and the MAC 217 the Zoeva 224 is thinned and more fluffy which is more forgiving and give a more intense blend to your look with the fluffy brush working it's magic on your heavy shadow areas to create the perfect flowing blend. This is your glitter applying brush. The perfect brush for a rustic blend and the perfect brush to apply your glittery shadows. This brush would also be perfect for a dewey/natural concealer finish with its short fluffy bristle would give the perfect natural concealer finish alternative to the Zoeva 142. 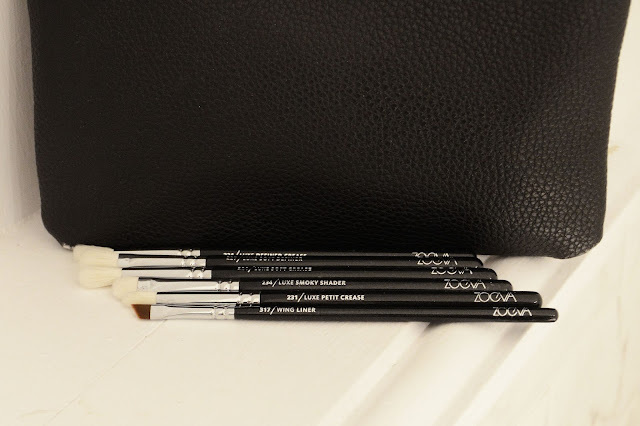 Your best friend if you like lower lash line shading or upper crease shading. If you love a smoky eye, the 234 is your new best friend. This brush has so many uses with its flat edge perfect for applying shade or glitter with is also very thin and tapered at the end for crease defining, a real addition to your brush collection. Your duo to the 234 is the 231, the perfect brush for blending and perfecting your crease definition to complete the perfect dramatic eye look for a night out. If you're obsessed with eyeshadow and create new eye looks with colour and definition, the 231 is an essential to your kit. For me, this is one of the most exciting brushing in the Luxe Prime Set. A Winged Liner Brush is everything. Whether you're a liner girl or a brow queen, this brush is everything. Me, it's the perfect brow brush. A sharp angle but fine bristles to create a strong brow game but also alternatively to perfect the perfect wing eyeliner with your favourite eyeliner gel. For me, I'm more of a felt liner girl but this brush is going to be ideal for my Freedom Brow Pomade or my Tanya Burr Brow Palette. 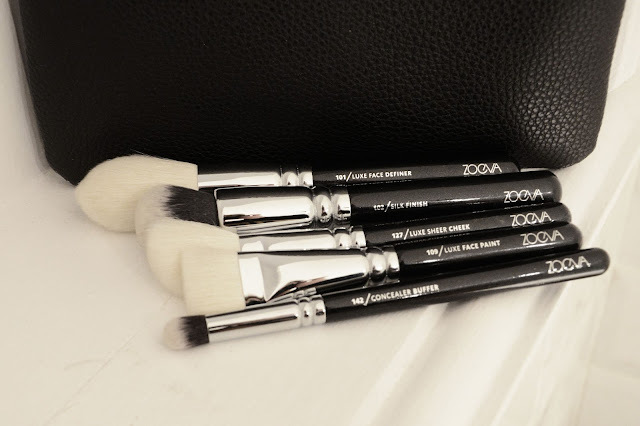 These 11 brushes from Zoeva are incredible. The quality, feel and look is everything you need to start or complete your brush collection. They even come in an adorable faux leather clutch to hold all your new brush babies. I really think Zoeva's products are of quality and affordability which to me is very import with beauty product as price can go away with you and at the end of the day it's quality that's important. 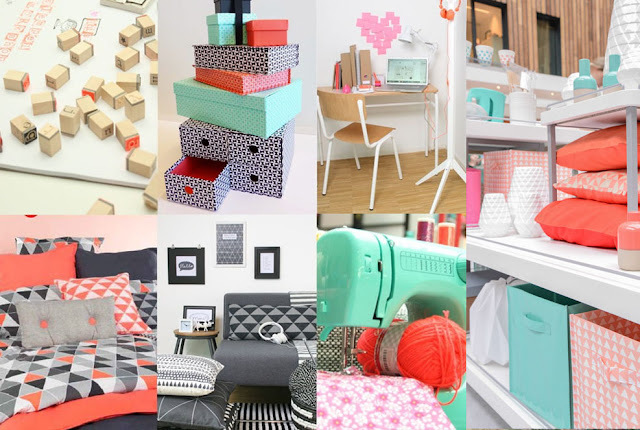 So, to find a product that both of quality and affordability really should be recognised. I love baking, cooking and of course eating! So, I decided to create The #FoodieTag! 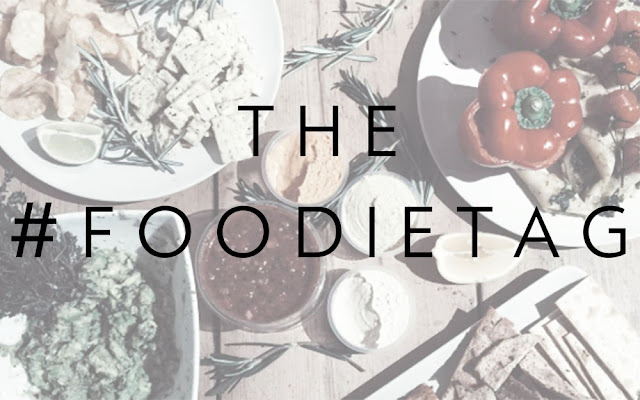 12 Questions about Food & Drink that you answer and then nominate someone else to answer the same questions next! A NEW FOOD/RECIPE YOU'VE DISCOVERED? IF YOU COULD GO TO DINNER WITH ANY 3 FAMOUS PEOPLE WHO WOULD YOU CHOOSE? 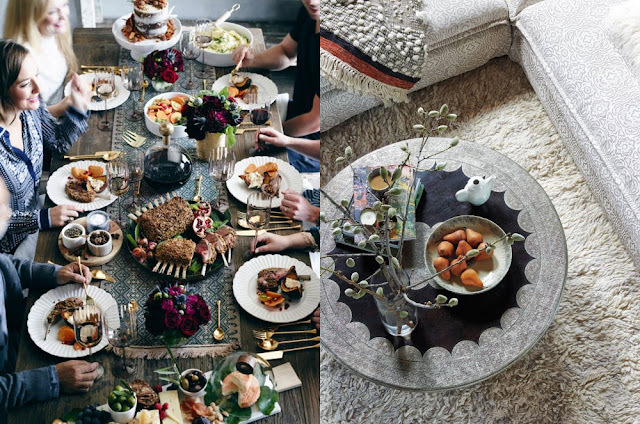 WHO DO YOU NOMINATE TO DO THE #FOODIETAG! I'm really prone to chapped and dry skin around my fingernails due to the fact I naughtily bite my nails. 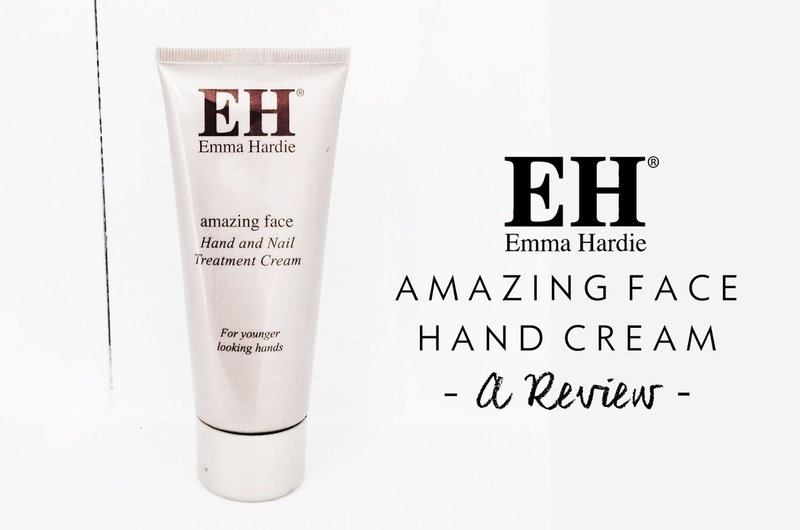 I'm forever lathering up my hands with different creams trying to treat the skin and prevent the ever so dry areas, and since I found 'Emma Hardie's Amazing Face Hand and Nail Treatment Cream' it's made such a difference. All of Emma Hardie's products are beautifully packaged and noticeable on a shelf. The large 100ml bottle is perfect for the handbag or your beauty cabinet a really great all round size for frequent or occasional usage. The only issue with the packaging is the lid. I've had this bottle for nearly a year now and the tip of the lid has a small whole in it now and leaks product so is no longer suitable for my handbag. 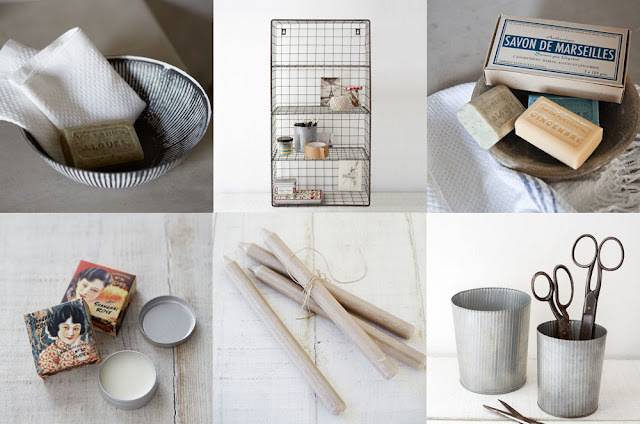 The products itself is a silicone like creamy consistency where a little goes a really, really long way. 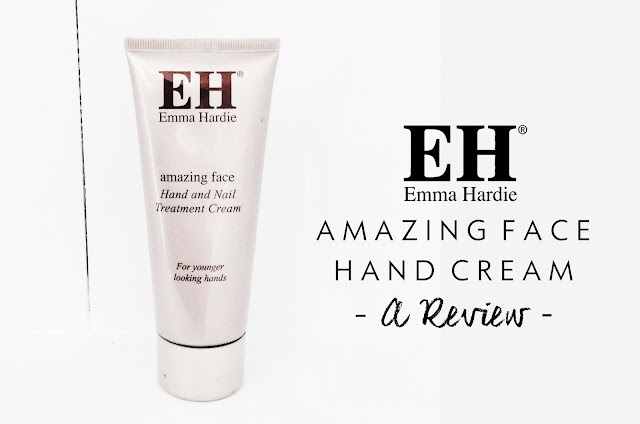 You only need the smallest bit of product to coat both your hands evenly. The words 'treatment' on the bottle might confuse you a bit but that exactly what the product does. My chapped areas crack and bleed occasionally and with just one use before bed, over night my hands are smooth and repaired. £24 for a bottle of hand cream seems insane. I actually managed to pick mine up from TK Maxx for £7.99 last year along with a few other Emma Hardie products. But at £24.00 I will definitely repurchase. However, this won't be for a long, long while as I'm not even a quarter of the way through yet. Due to the amazing quality and quick action of this product you hardly use any over time, so at £24.00 it's definitely worth the price. 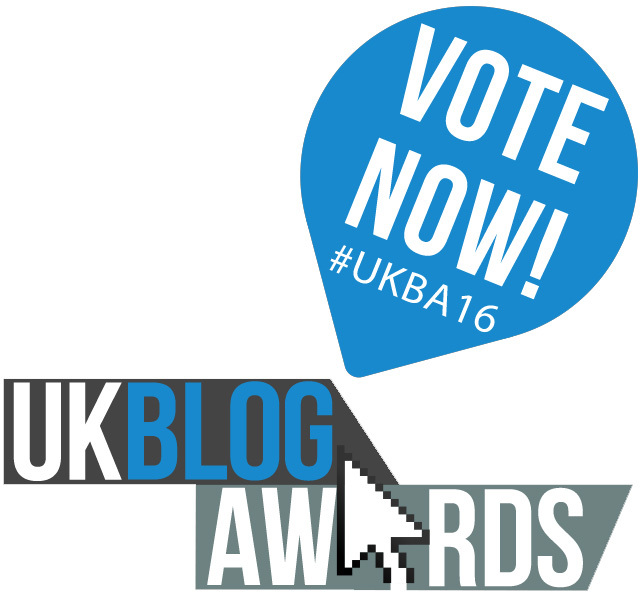 It takes 1 minute and would make my year to be nominated for a #UKBA16! 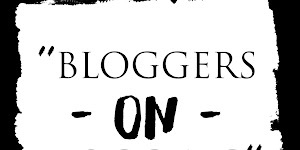 This year my blog will turn 2, which to me is strange because it feel like I've been blogging forever and rewarding because I'm still here, writing weekly, still gushing with passion! 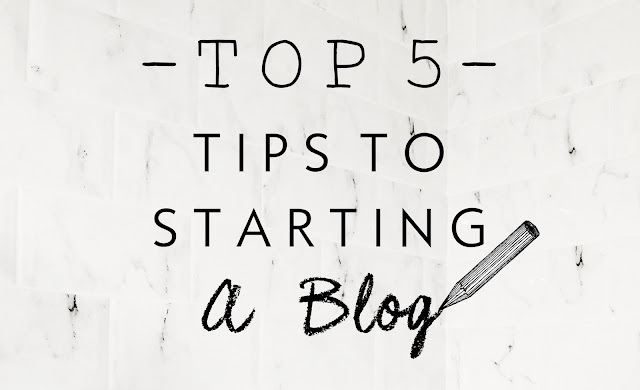 So, I thought I'd share with you My Top 5 Tips to Starting a Blog whether you've started a blog or thinking about starting one, hopefully these tips can help you! Just go for it! If it's not for you you're not a failure, and if it's not for you... You tried! 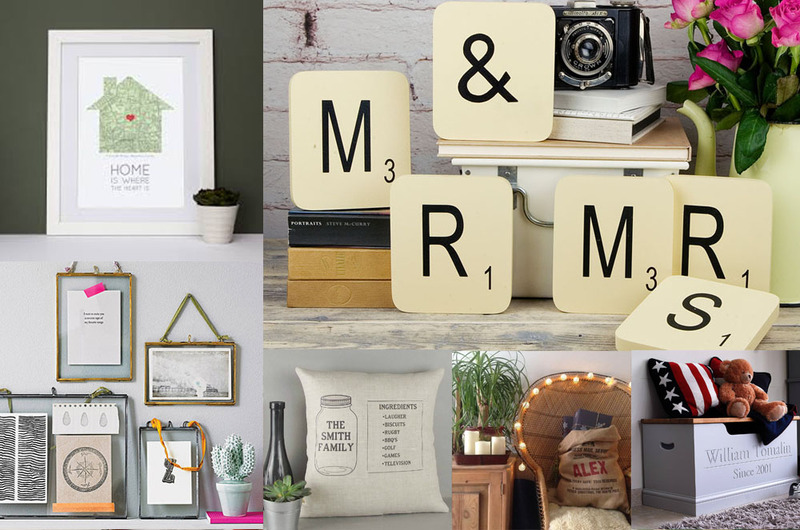 You never know, you could just 'try it' like I did, and it become your new favourite past time, hobby and something you aspire to be your full time job one day! 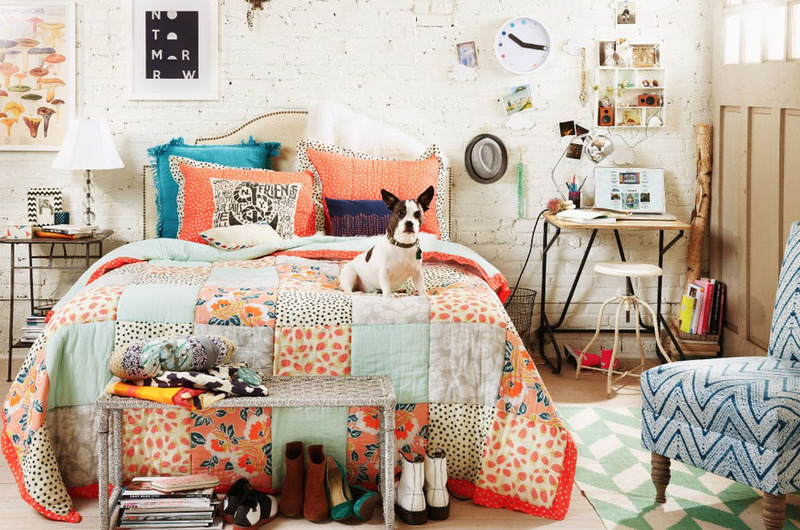 All you really need to do is pick a platform; Blogger or WordPress, choose a Blog Name and... write! It's not easy at the start. It can be quite demotivating seeing only a couple of people a day read your blog and can make you think you're not cut out for it. Everyone has to start somewhere, at one time 'all experts were beginners'. If you're struggling with the lack of view initially. Tell your friends, family and share it on your social media. Remeber, if you don't promote it, no one will see it! 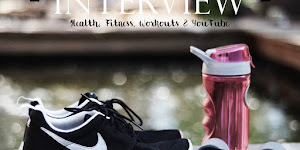 Talking other Bloggers really helped me from the start. It's a really welcoming and supportive community and Twitter is the best place for it. It's surprising how much motivation you get just from making friends with likeminded people. The best choice I ever made was to publish my blog post on a Sunday and a Wednesday at a set time of 6:00pm. This way, my readers know when I've posted a post even if they've not seen my tweets. They know I upload twice a week on a Sunday and Wednesday evening so they know when to tune in! Don't worry if you're worrying about your content or your english skills. You don't have to be an award winning author to write a blog. Just be confident, write what you love! 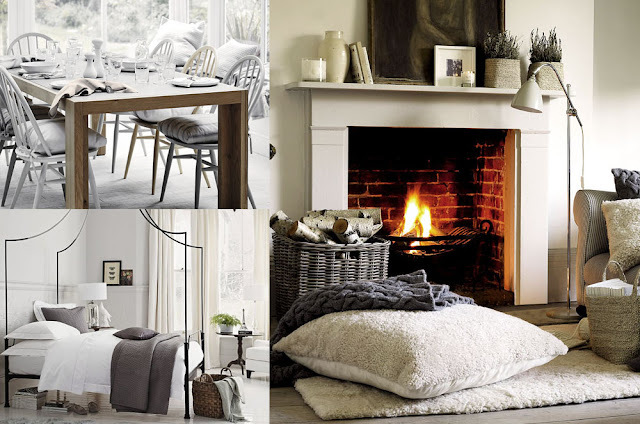 Write what you'd like to read, as it's likely people would like to read the same too! So, that's my Top 5 Tips for Starting a Blog! I hope this has helped some of your who're questioning starting a Blog or are in the beginner blogging rut. Stick at it, you're great! I've dreamt of this lipstick for months, and months. Seeing it on what felt like every ones blog, YouTube and monthly favourites. It was dangling in front of my face calling to me. 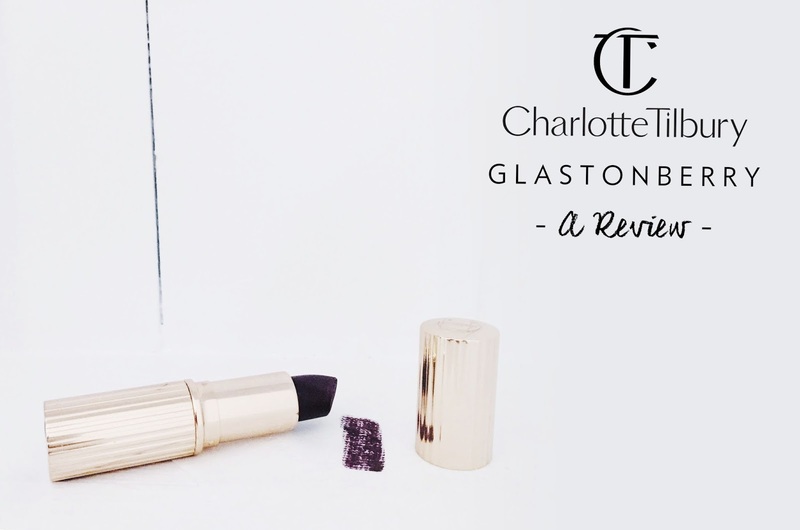 When my Blogger buddy Amanda Bootes visited last weekend she bought Charlotte Tilbury's 'Glastonberry' Lipstick with her and I couldn't contain my jealousy. It was as beautiful as I imaged. 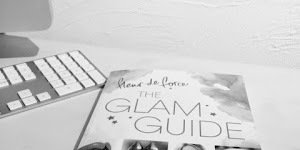 So, I thought many of you had dreamt of this lipstick for months like me and thought you'd also want to know if it was worth the money and the hype. You can't beat Charlotte Tilbury packaging. Stunning ribbed rose gold cylinders so elegant and unique. Glastonberry has a Matte finish, but isn't drying like your favourite MAC Matte Lipstick this is due to the tree and orchid extracts that protect and hydrate. It's so refreshing to find a Matte lipstick that you don't need a tube of Eight Hour Cream to rehydrate them for dates after. The product is very similar in colour to MAC Diva however Glastonberry is more creamy and has a purple under tone where Diva has a red undertone, so it has more of vampy look to it, which I love! The shape of the lipstick makes application easy so you don't need a lip brush. 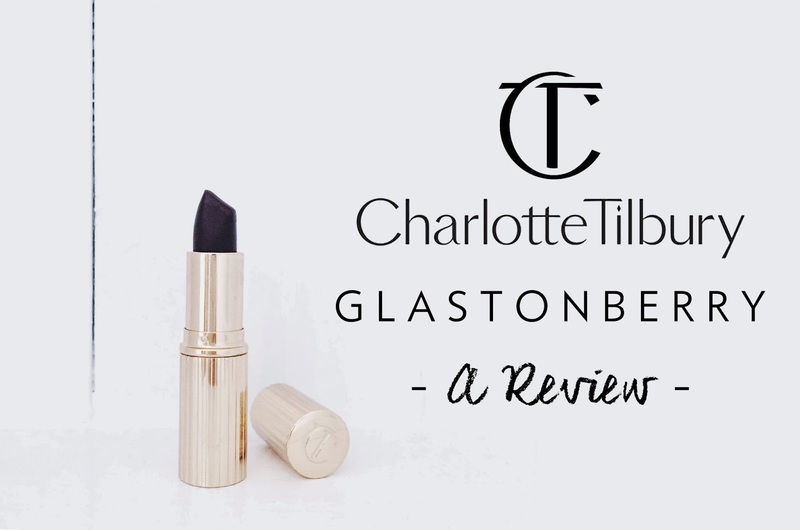 I applied Glastonberry over a Rimmel London Lip Liner in 'Black Tulip' which worked perfectly for longevity and for perfecting the shape of the lip. The packaging is what you want if you're spending over MAC prices for a lipstick. The product itself for pigmentation and finish is the best I've used for a Matte finish with it's buttery smooth texture you can wear it all night and confident you won't have to keep reapplying every 20 minutes. It's 2016 and time for the Voting of the #UKBA16 to commence! You can Vote for www.styledbycharlie.com in the Fashion & Beauty category or the Lifestyle category. 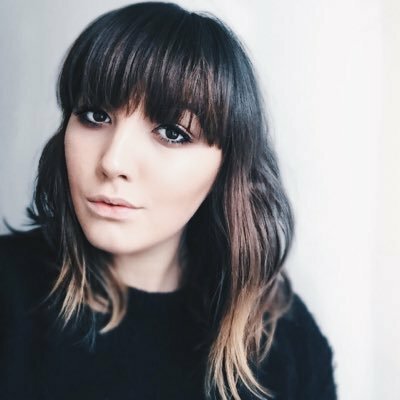 I would love if you could take 1 minute to Vote for www.styledbycharlie.com in The #UKBA16! 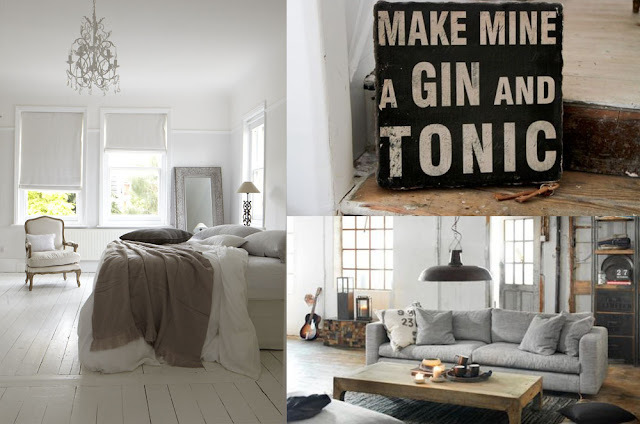 My blog is a little extension of me. Somewhere I retreat to, twice a week to write something that's been on my mind, that's changed my life or influences a new outlook. My blog is somewhere that I turned it to write about my Bipolar Disorder, Depression and to write about my sufferings with Anxiety. I never though I'd be okay with opening up about my disorders and openly writing about them occasionally, let alone having a tab bar on my home page about 'Bipolar, Depression & Anxiety'. 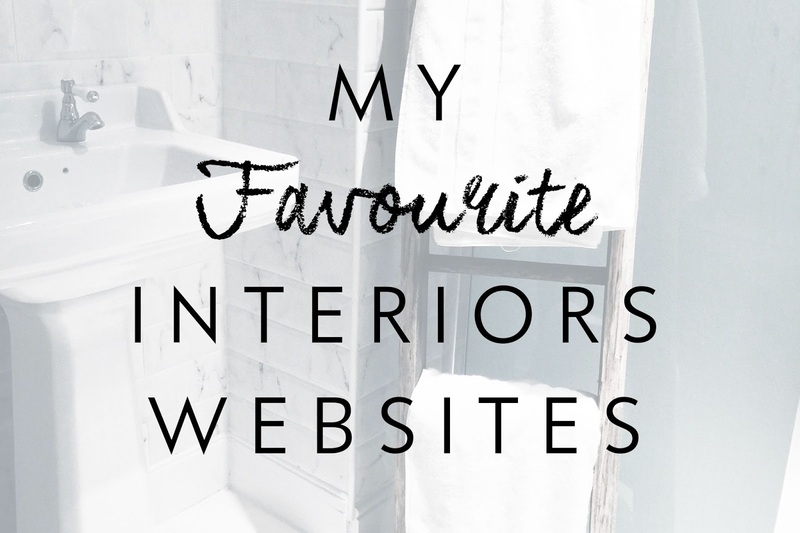 My blog isn't just somewhere I turn to to share my favourites of the month, it's somewhere where I turn to for everything. 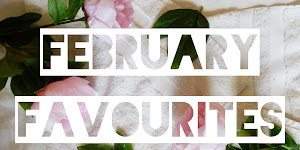 My favourite Instagram accounts, my favourite new baking recipe or an achievement I've experienced this week with my anxiety and a hurdle I've overcome, sharing my experiences with my readers about how they might be able to overcome their 'down days' or their anxiety hurdles gives me hope that I can share my down times, to hopefully help someone else overcome there's. It's somewhere I love, somewhere I care for and somewhere that gives me hope, friends and support. I'd love for my blog to be somewhere people can turn to for everything. 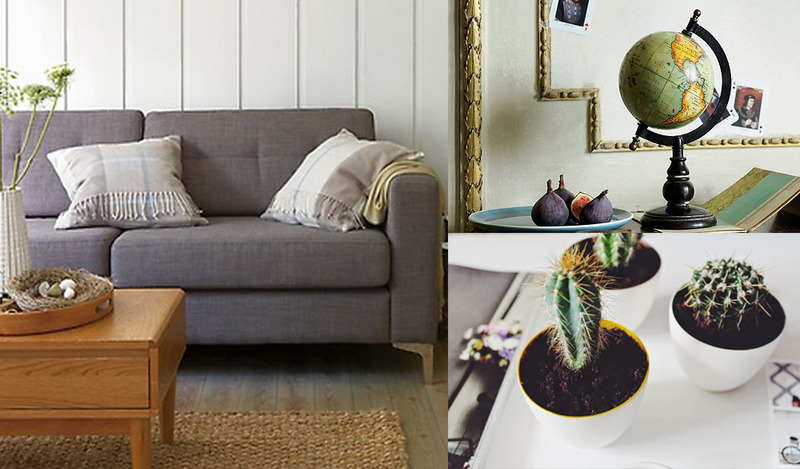 A homepage they can turn to for fashion advice, the latest beauty must have, new cupcake recipe that's perfect for a birthday spread, new interiors trend or somewhere they can turn for tips for suffering with anxiety, information about bipolar disorder or support with suffering from depression. I'd love to help and support every reader. Give them somewhere and someone to turn to for anything. 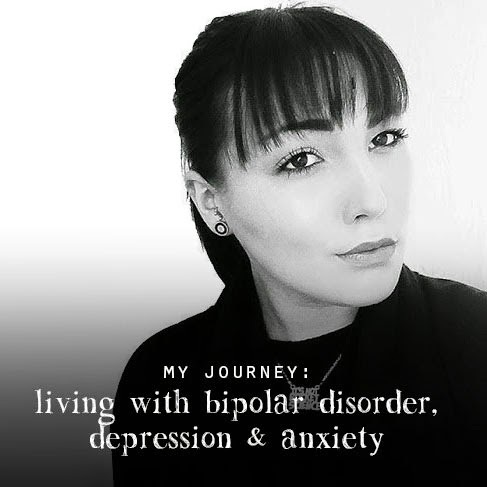 I'd love to share my 'Living with Bipolar' Post with the world to help raise awareness of mental illness and depression, that would make sharing all my tough experiences and hard topics completely worth while. I'd just love to help someone through their 'down day'. I've never been a huge fan of breakfast. I'm usually of those people who doesn't eat until at least midday when I'll have a light lunch/brunch of beans of toast, soup etc. Last weekend my Blogger buddy Amanda Bootes popped on the train from Kent to visit me in my New House in the Rutland Countryside. Both massive foodies, we decided to change our thoughts on breakfast (which we're both not hugely keen on) with a selection of ingredients, and oh my! wasn't the result extra tasty. Homemade Guacamole and Hummus with Scrambled Egg on Toast. Cut and mush one avocado in a bowl with a squeeze of a lemon and a lime, quarter of a onion (diced), with half a clove of garlic (diced), a sprinkle of chopped basil and finished with a seasoning of salt and pepper. In a blender put half a can of chickpeas, 2 tbsp of lemon juice, 2 crushed garlic cloves, 4 tbsp of water, 2 tbsp of olive oil and a sprinkle of salt and pepper. Blend together and taste, adding more seasoning if desired. Pop 2 slices of bread in the toaster while you'll crack 2/3 eggs into a mug and beat with a fork, before popping them in a saucepan and mixing until scrambled. 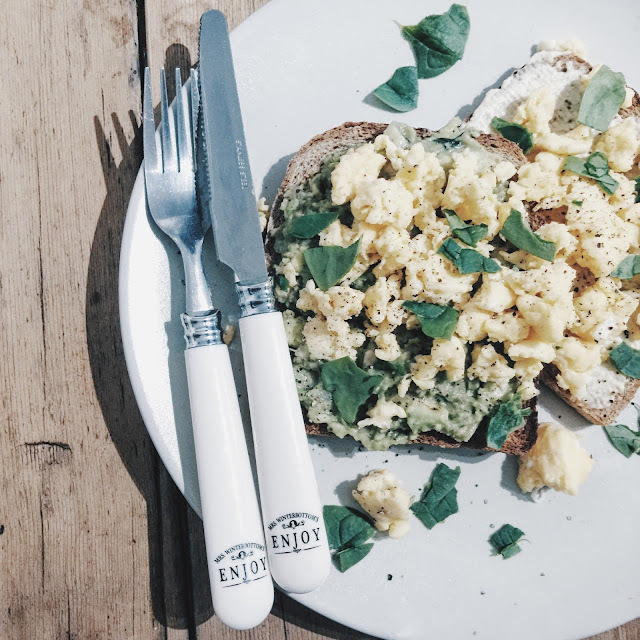 Spread the Guacamole and Hummus onto the toast, before adding the scrambled egg and a sprinkle of fresh spinach with extra salt and pepper if desired, and enjoy! 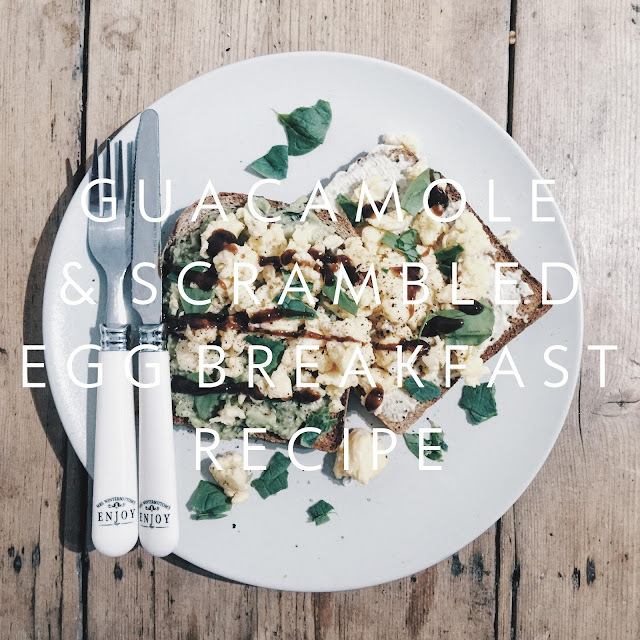 That is our take on the perfect breakfast combination using some healthy ingredients with a couple of really handy homemade recipes for your favourite snacks! Don't forget to check out Amanda's Blog! I've have hooded eyes and find myself forever dreaming of that perfect slick black liquid eyeliner look that what seems like everyone else can pull off except me (without ending up with panda eyes). Especially with beautiful humans like Adele rocking the look on her latest track 'Hello', I'm forever feeling like I'm seriously missing out because of the annoying shape of my eyes. Pens, Brushes, Potted Liners, Pencils you name it. But nothing stays on and just smudges away looking awful. 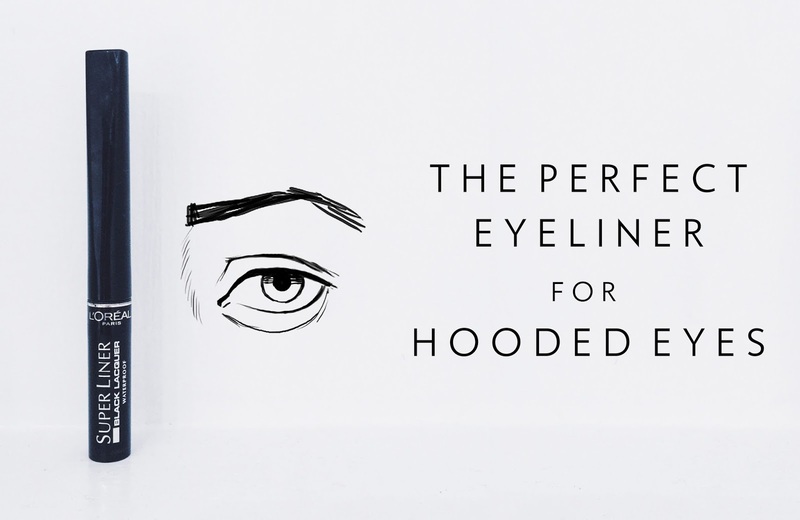 Well Ladies (and very stylish Gentleman) I've found the perfect Liquid Eyeliner for our hooded eyes! I used to always use the Eyeko Felt Pen Liner which worked well and is easy to apply, but wasn't very good on sweaty days, or without touch up. Plus it's a lot more expensive and harder to get hold of. In a recent Boots spree I picked up the L'oreal Black Lacquer Super Liner. Firstly, the packaging is beautiful as most L'oreal products are beautifully packaged. Secondly, it's under £10 and easy to get hold of in your local Drugstore. Lastly, it's Jet Black in colour and easy to apply to with a shake and apply feature allowing you to get just the right amount of product for the perfect look. The thin long tip allows you to be perfectly precise as well as starting of thin allowing you to build up the perfect thick liner look if desired which helps illuminate those oh so annoying inaccurate mistakes! I highly recommend checking out the Loreal Super Liner in Black Lacquer for staying power, affordability and beating the hooded eye! 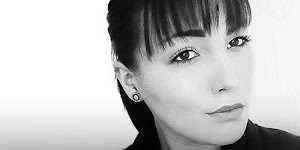 My everyday look using L'oreal Black Laquer Super Liner.